Signs were created with a purpose: to let people know where they are and to tell them where to go. Those essential functions of signage haven’t changed. Every day we encounter street signs, directional signs on the highway, and other types of signage that help us navigate our surroundings. At Bartush Signs, our skilled signmakers specialize in directional wayfinding signs custom-made to suit your business’ needs. If you’re looking for a company well-versed in wayfinding signage design, Bartush is your answer, as we can create informational signage solutions that can provide the navigational help you need. It doesn’t matter if you’re looking for indoor or outdoor signs for you company, we can do it all! Are you a medical facility that needs help directing patients to the right place? Maybe you’re a sports stadium or arena that needs to show spectators where their seat are located. No matter the purpose or the business, Bartush Signs will be able to combine signage and wayfinding to properly address your company’s needs. We use materials of the highest quality in our sign manufacturing process with skilled craftspeople at the helm. 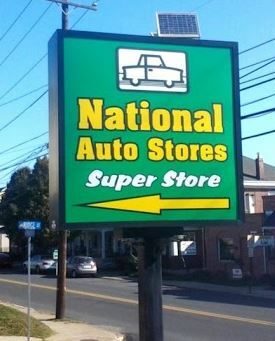 Our unique carved signs could provide a distinctive touch to your directional efforts, as could a sign that uses channel letters or other components. We are a full service sign manufacturer, offering design, installation and repair services! 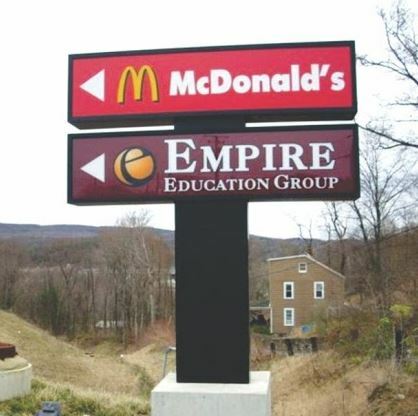 Don’t get lost trying to find the right directional signs for your business. Let Bartush help you find your way with high-quality wayfinding signage design services. If you’re interested in what we have to offer, please fill out the form below and a member of our team will reach out to you as soon as possible. For a more detailed form, please contact us here.